In the interim since Buffalo’s Chevron Bloom debuted their first recording, they’ve packed on some muscle with the addition of veteran axe-man Gerald Thomas, and the now-foursome has just released a second recording—another EP titled Henry. While this enhanced instrumentation affords them a bit more range and complexity, Henry remains largely rooted in their established lush and spacey indie rock sound, while marking a progression towards a slightly darker and more urgent place. However, unlike many other bands carrying on the torch of the 90’s shoegaze sound, Chevron Bloom crafts their dreamy soundscapes through solid and original songwriting rather than relying on a wall of effects noise and sonics, and that gives this album a unique soul and character. The raw sparkle of Galaxie 500 is a palpable undercurrent in these songs—especially in frontman Jay Sallese’s vocal delivery—but they also channel the moody intensity of late-era Unwound, especially on “Halfway There” and “Encounters”—the album’s powerful and riff-heavy opening tracks. The later half of the album lets up on the gas a bit and coasts into more of a post-rock dream-pop space with three spacious slowcore tunes full of darkly shimmering guitar textures and skillfully interwoven vocal melodies. The plodding pace of these tunes is perfectly anchored by the steady gravitational pull of bassist John Miller and drummer Aaron Martin, who is simultaneously able to whirl around the beat with rhythmic flourishes almost bordering on ostentation while never falling out of orbit. Henry ends on a dynamic and surprising high note with brilliantly titled, “Demotional Intelligence”—a capstone journey of a song that begins as a somber ballad of beautiful call-and-response verses and tender vocal harmonies, methodically builds into an epic, soaring guitar solo, and ultimately crash lands into a full-on Sonic Youth inspired guitar-noise sound collage, overlaid with Sallese doing some sort of drunken-life-coach spoken word. 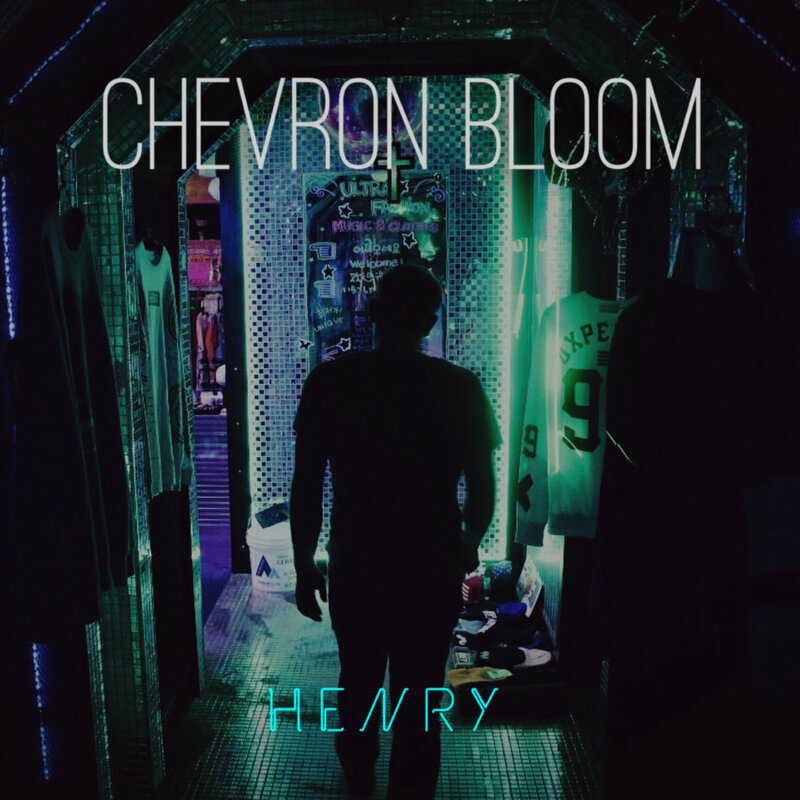 For a band that would rather lure you in with slow and gentle melodies rather than punch you in the gut, Chevron Bloom has packed Henry full of enough intense moments and surprises to bring you to the edge of your seat with anticipation for what they will do next. Henry is available now for streaming and digital download on Chevron Bloom’s bandcamp.